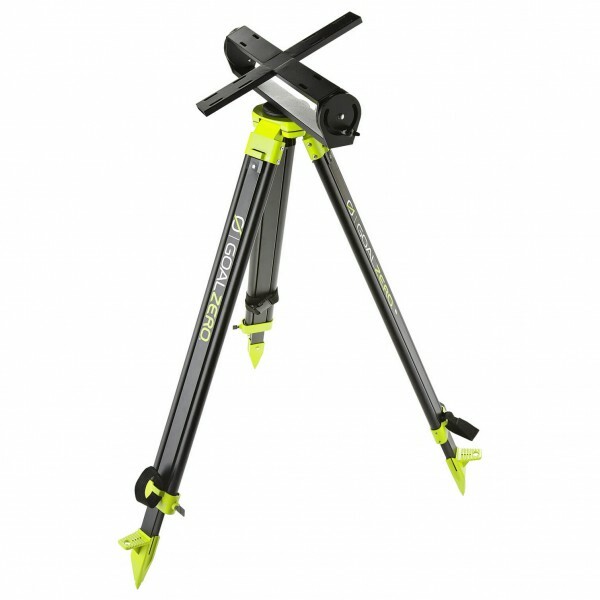 Get all the energy you can get from the sun with the Solar Tripod from Goal Zero. This will help you to position your solar panel perfectly. Plus, it comes complete with telescoping feet for stability in more difficult terrain. It can accommodates either two or four BOULDER 15 or 30 solar panels. Regardless of where the sun is, youll be able to capture every last ray with the Solar Tripod.